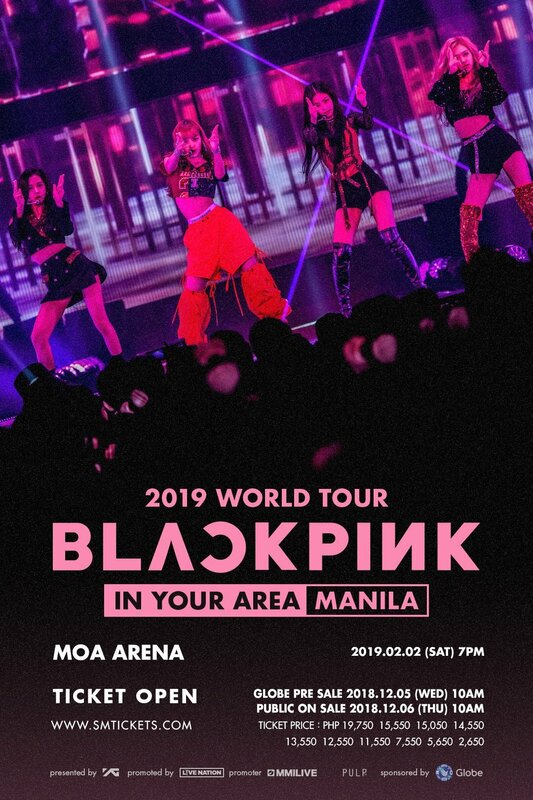 Blackpink are bringing their 2019 World Tour [In Your Area] to Manila. In an announcement by MMI Live and PULP Live World on Friday (11/23), the sensational K-Pop act behind the hits 'As If It's Your Last,' 'Ddu-Du Ddu-Du,' and 'Boombayah,' will be performing at the Mall of Asia Arena on February 2, 2019 (Saturday). Signed under YG Entertainment, Blackpink consists of members Jisoo, Jennie, Lisa, and Rosé. They made their debut in 2016 with 'Whistle,' which brought them to the top of the charts in South Korea. Ticket prices will be available for PHP 2,650 to PHP 19,750 on December 5 (Wed) for Globe subscribers. Find out more about the presale here. Public sale starts on December 6 (Thurs) at 10 a.m. via SM Tickets.